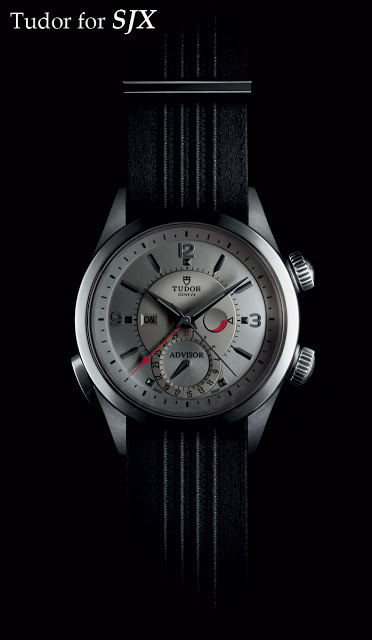 Launched at Baselworld 2011, the Tudor Heritage Advisor is the second model in the line of historically inspired watches that began with the smash hit Tudor Heritage Chronograph “Monte Carlo” of 2010. I recently saw the watch in the metal at a dinner organised by Singapore retailer Sincere Watch Ltd. I liked what I saw. Though the Advisor is not quite as vintage looking as the Monte Carlo chronograph, it is a tremendously attractive watch, both visually and in terms of price-performance ratio. The retail price of the Advisor is approximately US$5600. 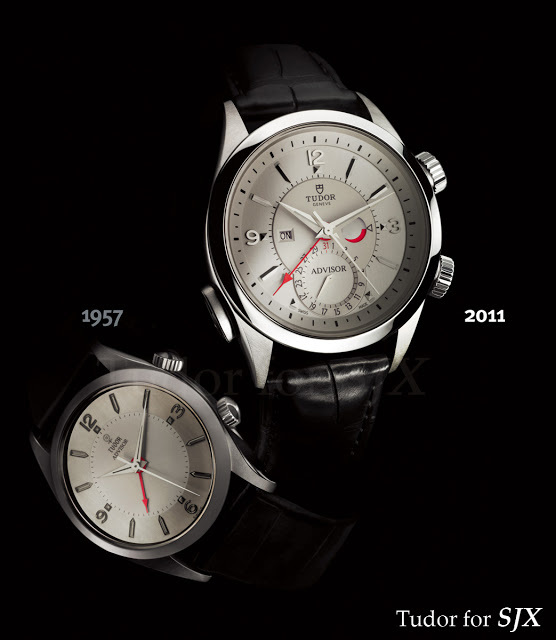 I like the silver dial, but it is the only colour available, which might limit its appeal. In addition to the design Tudor also got the details right. I particularly like the Tudor shield shaped folding clasp that accompanies the leather strap. 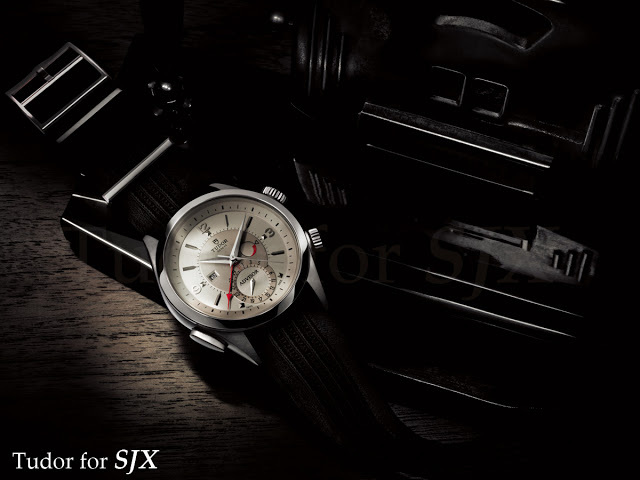 The watch is also available with steel bracelet. Both the leather strap and bracelet variants are delivered with an additional fabric strap fitted with sturdy steel hardware. The fabric strap is similar to the NATO strap but fitted with spring bars (instead of looping under the spring bars as with a NATO strap). Made entirely from natural fibres, the fabric band has a soft and smooth feel. Some will like it, though I prefer a thicker and more robust feeling strap. Interestingly the fabric strap is made by a mill in Lyon, France, that is apparently the last of its kind. It supplies fabrics to fashion houses like Chanel and even ribbon to the Vatican. 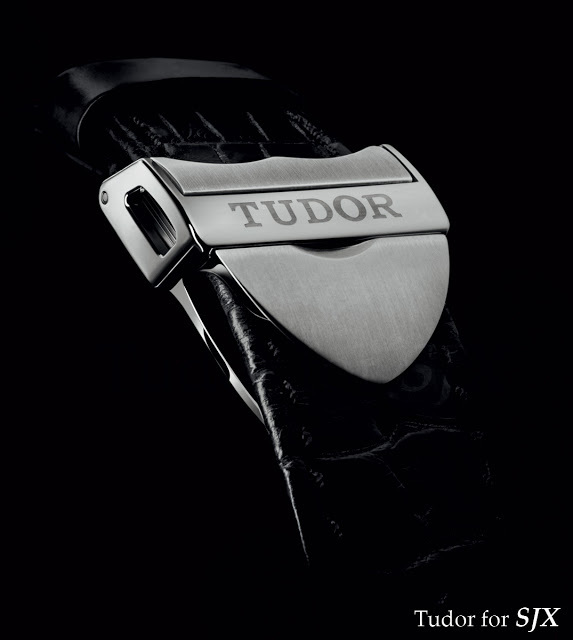 Tudor has an exclusive for use of the mill’s fabrics in watchmaking. The case is titanium and steel with a 42 mm diameter. Inside lies an ETA movement with a Tudor alarm module.